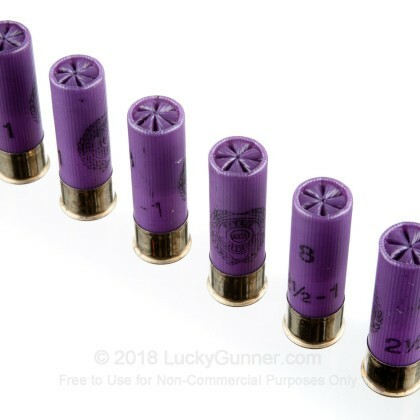 Although it isn't as popular as the 12 gauge and 20 gauge shotguns, the 16 gauge is a phenomenal midpoint between the two. 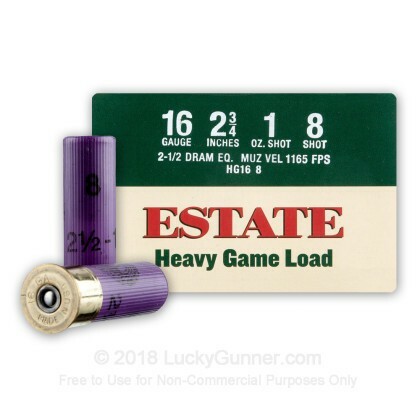 With nearly the same power as the 12 gauge shotgun but a recoil similar to the 20 gauge, the 16 gauge is fantastic for hunting, shooting clay targets, and defending your home. 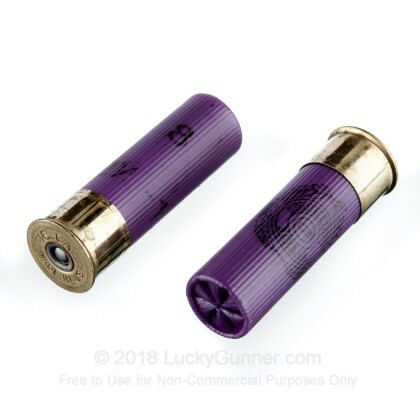 This slightly uncommon firearm may be the best shotgun on the market. 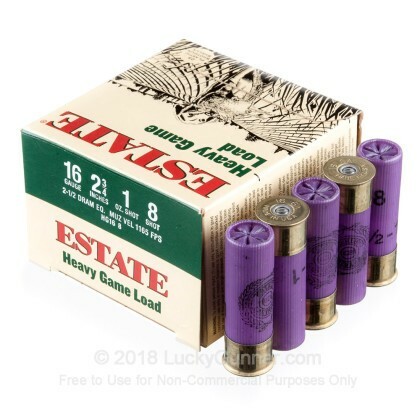 If you want fantastic shotgun ammo, Estate is the way to go. 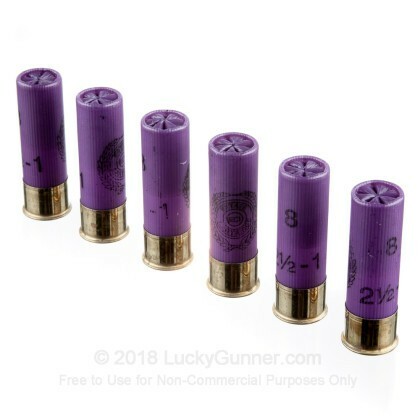 Leading the world in shotgun shell designing, marketing, and manufacturing, you can't go wrong with ammo from this superb company. 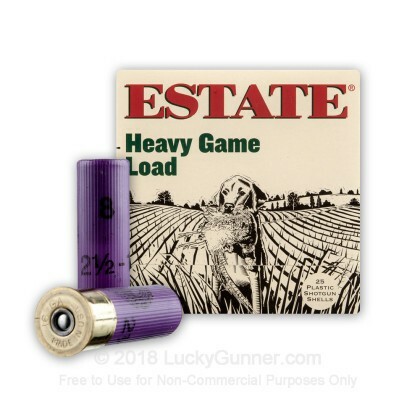 With this 2 3/4", one ounce, #8 shot, 2 1/2 dram, 16 gauge, heavy game load ammo, you have exactly the ammo you need to bring down the delicious small game and birds you love to eat so much.